This is the matchup we wanted to see. While the ALCS pits a pair of unlikely teams against each other, the NLCS features the only two teams to represent the NL in the World Series over the past four years: The San Francisco Giants and the St. Louis Cardinals. A rematch of the 2012 NLCS, the two teams have combined to win three of the last four World Series and four of eight, going back to 2006. Let’s break down this matchup, starting with the pitching. The Giants have a mostly veteran rotation with 39-year-old Tim Hudson, 37-year-old Ryan Vogelsong, and 33-year-old Jake Peavy—to go along with 25-year-old ace Madison Bumgarner. Does age/experience help them? Hard to say for sure but the trio of 30-somethings went 1–0 with a 0.96 ERA in three NLDS starts against Washington—not bad. Bumgarner, 18–10 with a 2.98 ERA in the regular season, has been pretty flawless in these playoffs too—save for his errant throw to third base in Game 3 of the NLDS. The lefty shut out the Pirates in the wild card round and has a career 2.96 ERA in nine career postseason games. The Cardinals counter with a rotation headed by Adam Wainwright—who may or may not have experienced more arm issues (the Cards haven’t said for sure) after his Game 1 performance against the Dodgers. Wainwright had arm issues earlier this summer but still posted a stellar 20–9 record with a 2.38 ERA over 32 starts. He’s tentatively scheduled to start Game 1 Saturday. The rest of the rotation—John Lackey, Lance Lynn, and Shelby Miller—are solid and match up well with San Francisco’s 2-4 starters. The 35-year-old Lackey, in particular, has been a beast in his career in the playoffs sporting a 7–5 record with a 2.92 ERA in 20 career postseason appearances. The Cardinals’ bats are a bit of a mystery. They were 10th in the 15-team National League in runs scored this season (the Giants were fifth), yet beat soon-to-be Cy Young winner Clayton Kershaw twice in the four-game NLDS, scoring 11 runs overall in 12 2/3 innings against him. Third baseman Matt Carpenter became the first player in postseason history to homer and double in three straight playoff games when he did it in the first three games against LA. Amazingly, he had just 8 home runs in 158 regular season games this year. In addition, after hitting just 105 home runs in the regular season, St. Louis hit seven in the four-game set against the Dodgers. For the Giants, former MVP Buster Posey had a torrid second half of the season (.354 average in 62 games) and continued it in postseason play with nine hits in 23 at-bats—though none were for extra bases. First baseman Brandon Belt has seven hits in 21 at-bats, including a big game-winning home run in the 18th inning of Game 2 against Washington. Advantage: Push. Of the regulars on either team, only St. Louis catcher Yadier Molina (six consecutive Gold Gloves) has really distinguished himself as the best in his field. Overall, the Cardinals committed the fourth-fewest errors in the NL this past season with 88. The Giants were right at 100, and Bumgarner’s errant throw to third base ended up losing them their only postseason game thus far. Slight advantage: St. Louis. It’s difficult to gauge how good a manager in baseball really is. No one thought much of Terry Francona when he managed the hapless Phillies from 1997 to 2000, but then he showed his grit with a capable Red Sox squad from 2004 to 2011 and won a pair of World Series titles. Bruce Bochy has had a similar career path. 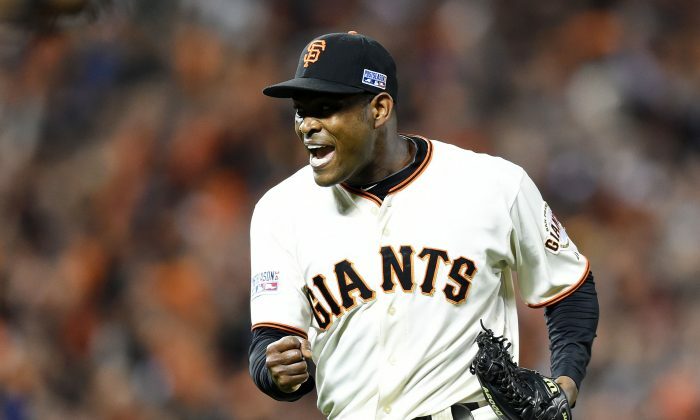 He was in San Diego for a dozen years, finishing with a 951–975 career mark before coming to the Giants in 2007 and winning the World Series in 2010 and again in 2012. St. Louis counters with third-year manager Mike Matheny, who has his team in the NLCS for the third time in three years. We’ll go with the guy with two World Series titles. Advantage: San Francisco.